Registration: Participation is by invitation only. If you have additional suggestions for who would benefit from this event, or other questions, please contact Megan Mullay, Senior Program Coordinator, Ready for 100 at megan.mullay@sierraclub.org. Over the past five years, more than 80 communities around North America have committed to 100% renewable energy (RE). To support this leadership, a group of international partners has been convening local governments to help achieve this urban energy transition. The purpose of these North American Dialogues on 100% Renewable Energy in Cities has been to foster knowledge sharing and momentum towards achieving 100% RE. 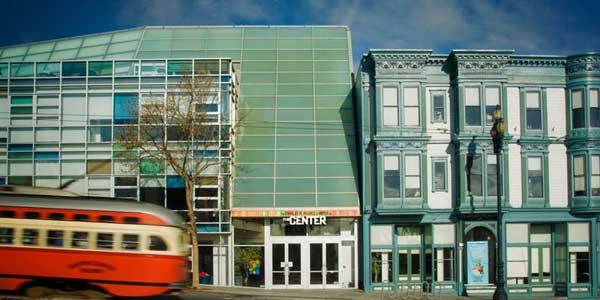 In conjunction with the Global Climate Action Summit, the 3rd Annual North American Dialogue on 100% Renewable Energy in Cities will be held in San Francisco on September 14, 2018. This event will build on both the 2017 Denver and 2016 San Francisco dialogues. Transitioning to 100% renewable energy community-wide is one of the highest impact actions a city can take to reduce their carbon footprint. The transition offers communities an unprecedented opportunity to address environmental justice, build new local economies and jobs, and improve the local environment and air quality. 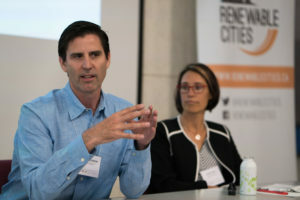 With over 80 communities across the U.S. and Canada now committed to transition to 100% renewable energy, we have begun to see cities make significant progress towards their goal through a variety of actions. The 3rd Annual Dialogue will focus on the implementation of 100% renewable energy goals. We will discuss how cities have charted their paths to 100% renewable energy, facilitate solutions-focused dialogue on challenges and barriers communities have faced, and identify potential actions available to cities. This workshop is intended to help local governments identify high-impact priorities and move rapidly towards implementation of 100% renewable energy. Additional information about the event will be sent out to registrants and updated here. If you have interest in sponsoring this event, please contact Kassie Rohrbach, deputy director of the Sierra Club’s Ready for 100 program at kassie.rohrbach@sierraclub.org.